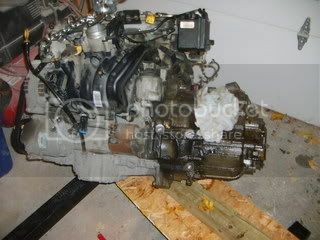 Anyways I think I've decided to move ahead with an ecotec swap. Right now I am am trying to find one in my price range. 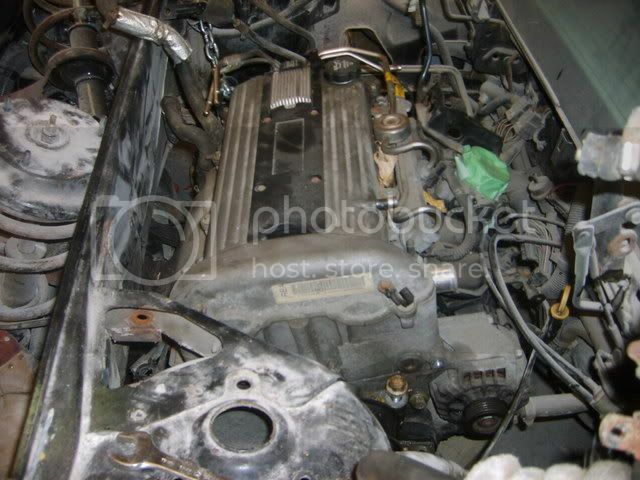 So far i have removed the old duke from the car and am starting to clean the engine bay and cradle up. Well after two years of starting this thread I finally have the motor for this car. 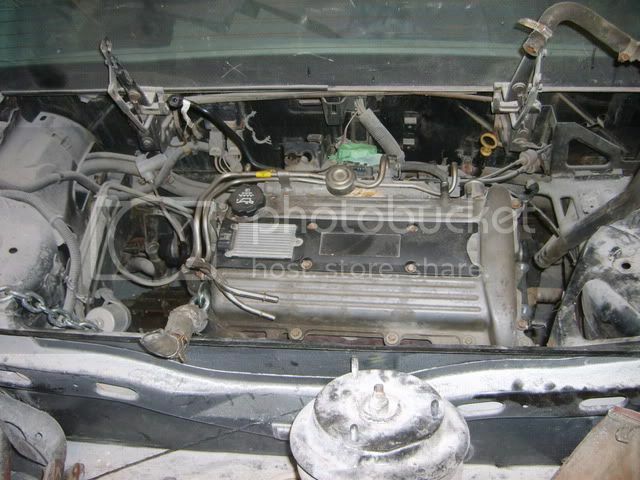 I have just removed the motor and trans from the Alero and will finish removing the wiring harness this week. 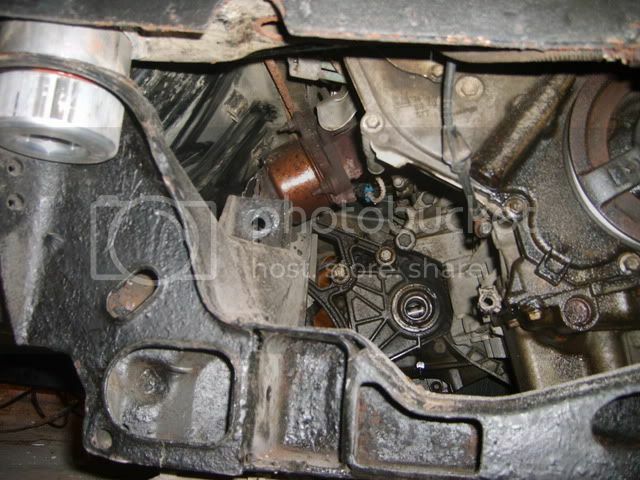 My plan is to start working on the on the motor mounts in November. 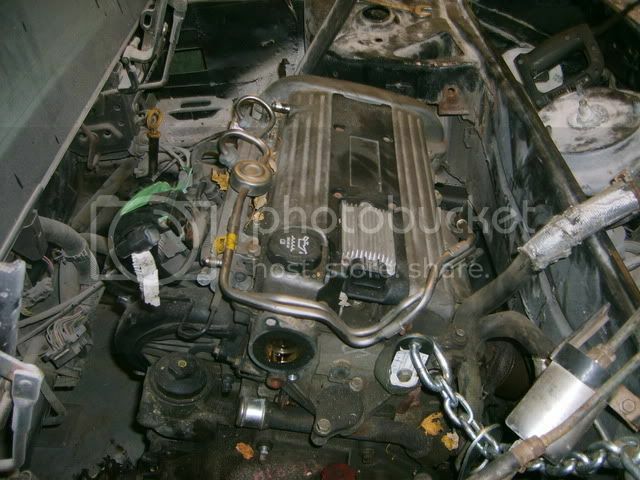 Anyways here are some pics of the engine removal. enjoyed the pictures, good luck and keep showing the pics. 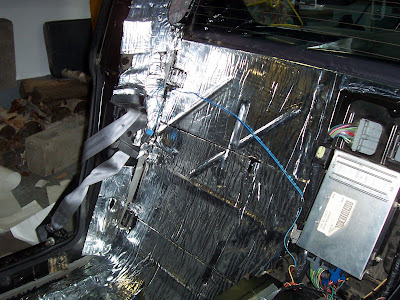 Do you plan to install any noise / heat isolation product on the firewall and the strut towers? 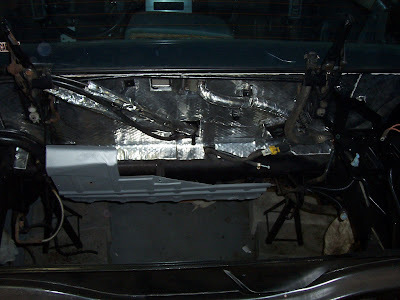 I installed DEI's "Floor & Tunnel Shield - Heat & Sound Insulation" on the firewall of my Formula. It is a good product. Before installling the V8 this winter I will install more on the strut towers. 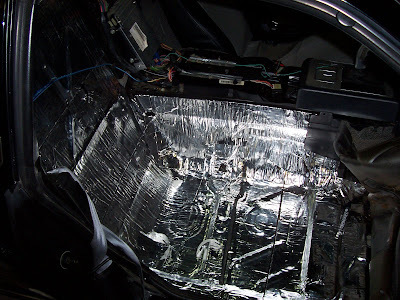 Hey falcon I might install some on the firewall for the heat but not on the interior for the noise. Anyways this weekend I made good progress and started to weld the motor mounts for the engine. I guess you have somewhere heated to work? Let us know if you get stumped somewhere. Yeh my garage is insulated. It's 18' by 24' detached but I only heat it with a construction style 240v heater when I'm working on the car. I think the engine mounting and test fitting will be pretty easy t's more the electronics im worried about. I took all the wiring out of hte Alero Intact and will get HPtuners. I hope to have it at least being able to start by spring. There is so much more things to do on hte car like the brakes and the steerring column is in peices and I have so much body work to do but hopefully with a working motor I'll be able to do some fiberglassing outside i hate sanding inside so much dust everyerwhere. I just looked HPTuners up and it looks like it's a software based program that allows you to tune your stock ECU. Do you plan to upgrade at any point to Turbo? I'm not sure what problems you might have with the motor not being in it's stock vehicle, but I'm sure you did some homework. The reason I'm going to get hptuners is to be able to remove vats and other security features from the stock ecm. I did keep everything from the wiring gauges and the ignition and the radio but want to be able to cleanup most of the wiring. Eventually if its running good i might add a turbo which hptuners can be used to tune the fuel. Can it control the boost? Hey Aaron I'm not 100% sure so do not take this as a fact but I beleive it has boost control only when the car already cam with a turbo like a cobalt SS, solstice but not sure for cars that did not come turbo from the factory. 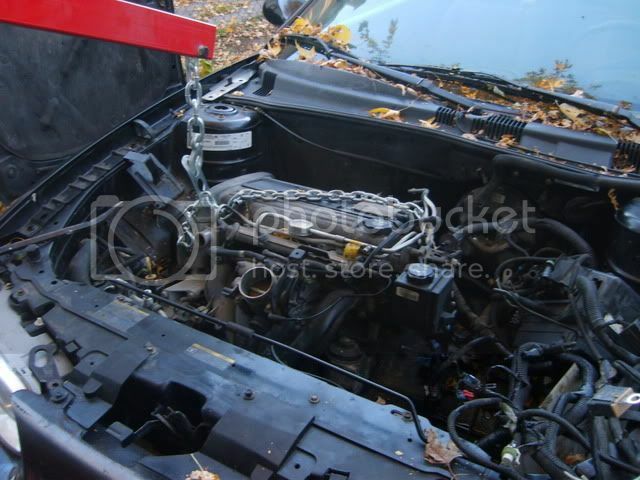 Anwyays I test fitted teh engine In the bay and i hitnk i might move it froward an inch I'm not sure its pretty tight with the trunk what do you guys think? you could also tilt the motor more vertical instead, which isn't a bad idea anyway. Looking good though. Why not modify your mounts to move it forward a touch? I imagine that moving the assembly 1" forward would still be within the operating angle range of the CV joints. 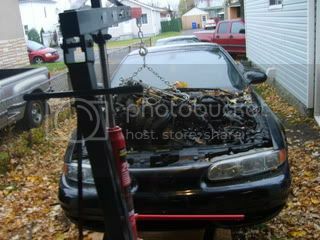 Hey Don that's what I plan on doing since i might want to add a turbo later the extra space will be needed.